“This is the place”… but this is not the end. Not the end of the journey, not the end of the work. The arrival of the Saints in the Salt Lake Valley provides a powerful example and analogy of how arrivals and destinations are also beginnings. And how beginnings, arrivals, and destinations are all part of the journey. And if we can dedicate ourselves to process and truly experiencing the journey, every step leads to salvation, even is salvation in that moment. “Ministry of Brigham Young: The Master Builder”: This two-minute video introduces some key building and colonization projects led by Brigham Young. 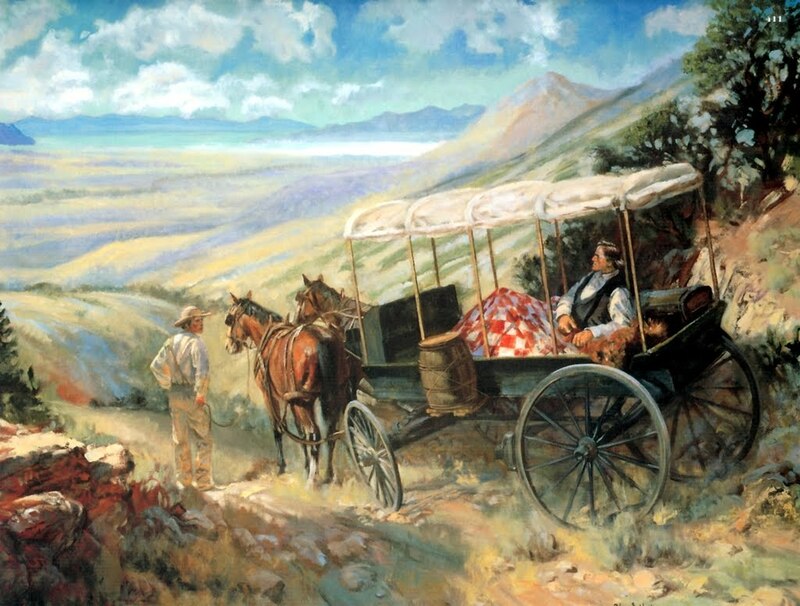 Mormon Pioneer Overland Travel Database: This database allows people to search for individual pioneers and find out more about them.